With so much happening in every nook and corner of the world, it is difficult to keep track of the events. Life is moving too fast to fathom what’s going on. In the world of complexity and chaos, this is high time to tread the path of eternal peace by searching a True Master. Saints and sages of yester-years have emphasized it loud and clear that a sufferer can attain freedom from sorrows only when the direction of his struggle is changed. With divine motives and in order to begin a change through the Knowledge Revolution, Divya Jyoti Jagrati Sansthan (DJJS), a non-government, non-profit and a leading socio-spiritual organization, founded and headed by His Holiness Ashutosh Maharaj Ji, organized a program of Monthly Spiritual Congregation on 12th February, 2017 in its Nurmahal Ashram, Punjab. 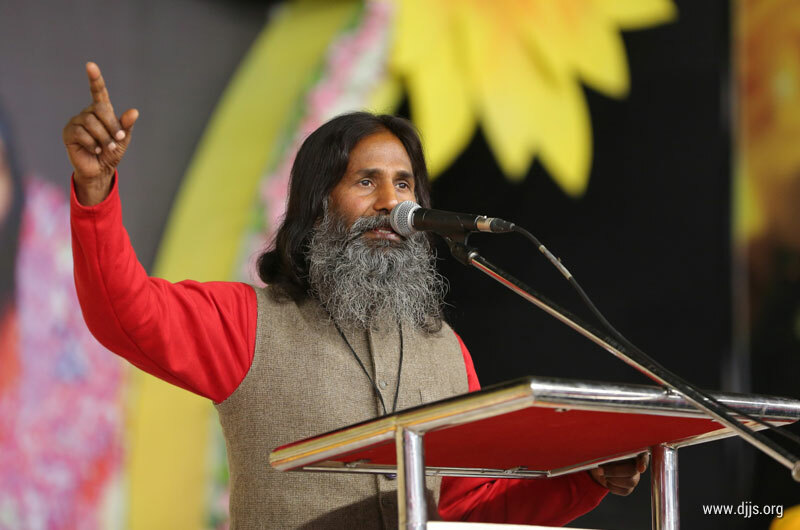 Thousands of devotees, volunteers gathered to experience, learn and practice the meditation based on the Divine Knowledge which connects the chords of heart with voice codes of God and imparts such directions to our life which is capable of bringing a life-changing positivity. The series of spiritual and devotional bhajans and prayers fulfilled the objective of attracting the devotees’ mind and thoughts in the divinity of the program. It helped them to be focused and acted as the perfect soil to sow the seeds of divinity. The spiritual discoursers delivered by the preachers unfolded numerous spiritual secrets through the examples from ancient scriptures. The Preachers stated that most of us remain distracted most of the time and indulge in futile mundane issues. This chaos can be managed efficiently if we learn to hear our inner voice that guides us all the time and that is the voice of God coming from within. If we only learn to pay more attention to the voice of the Creator of the Universe, our life will be far more easy and smooth. No one can be a better partner except the Creator himself- God. Divine Knowledge provides invaluable signals of wisdom which can change our lives together. Today, DJJS under the holy guidance of the Revered Master is steadily growing up to bring about a huge change in times to come. The day is not far when once again “Truth and only Truth shall prevail”. The Preachers further stated that a disciple should strictly follow the instructions of his Revered Master and should keep a close check on his thoughts and activities. It is only through the guidance and grace of a Perfect Spiritual Mentor that a disciple can attain his Spiritual and worldly goals. Only a Spiritual Mentor can provide the formula to maintain a balance between Spiritual and Worldly activities. The message conveyed in each of these speeches was to energize the audience to tread the path of spirituality with enthusiasm. The people who attended the program, found themselves fortunate on imbibing the divine and spiritual inspiration to lead the life of righteousness. They were greatly influenced by the depth of the message delivered by the Preacher-disciples of Revered Gurudev. The program concluded with the community meal after delivering the message of unity and brotherhood.